Dundee turned in a six star performance at New Douglas Park on Saturday, I missed the game due to work. Now to the goals the first on 20 minutes came when a mistake from the Hamilton keeper who dropped the ball and Savo Milne had a simple tap in. The second on 37 minutes came when a quick long ball found Savo Milne who's first touch was sheer class and the finish even better as he lobbed the keeper from just outside the box. The third came a few minutes later when a quick throw in found Conroy and he laid it off to Stephen O'Donnell who fired in a unstoppable shot which gave Hutton no chance. Second half now and the Fourth goal came on 47 minutes when good play from Riley and Hyde his cross was simply back-heeled into the net by Savo Milne to complete his hat trick. 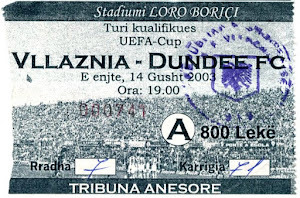 Dundee got the fifth when good midfield play from Gavin Rae he won the ball and played in Nicky Riley who smashed the ball home to the delight of the Dundee fans. The Sixth goal came when poor defending from the Accies and Gavin Rae smashed the ball high into the net. Hamilton did get one back and it was a cracker too Imrie scoring with a fine finish. 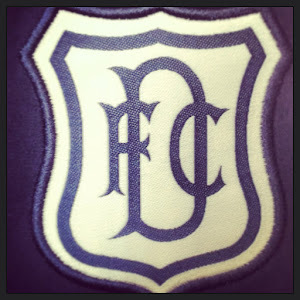 Dundee: Douglas, Irvine, McGregor, Weston, Lockwood, Riley, O'Donnell, Rae, Conroy, Hyde (Elliot 68), Milne (McCluskey 84). Subs Not Used: Gibson, McKeown, Benedictis.